READING, PA (April 4, 2019) – Reading United will return two more players for the 2019 season, pending league approval. 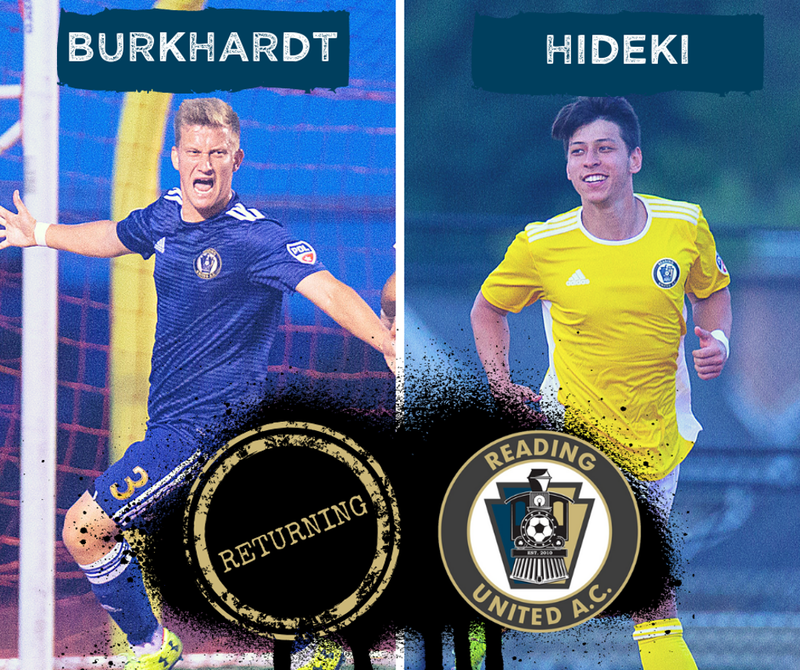 Spencer Burkhardt and Felipe Hideki will be patrolling Reading’s midfield for another year under the direction of head coach Alan McCann. A recent graduate of Seton Hall University, Spencer Burkhardt will be returning for his third season with Reading. During his collegiate career with the Pirates, Burkhardt played in 58 games, scoring five goals with two assists. Burkhardt had a solid 2018 campaign in Reading, playing seven regular season games and three playoff games. recording two goals. Spencer had a knack for timely goals - a game-tying tally in 84th minute in the season finale against Lehigh Valley, and a 65th minute goal against Evergreen FC that put the game out of reach. Felipe Hideki, MidAmerica Nazarene junior forward, will be picking up where he left off last season with Reading United. At MidAmerica, Hideki was named Heart of America Newcomer of the Year and to the conference First Team after netting eight goals and five assists. During the 2018 season in Reading, Hideki played in eight regular season games and four playoff games tallying a total of five goals. Felipe’s goals were often important ones, netting winners against Ocean City and New York Red Bulls U23 and the first goal in a 1-1 draw against Long Island on the road.